Coordinates for this: 36.521309, -82.718708. The N&S crosses Main Street. The date is 1910. This CSX two-laner is on 636 (Yuma Road) in Southwest Virginia at the intersection with 774 (Cassard Road) (36.62542, -82.72053). 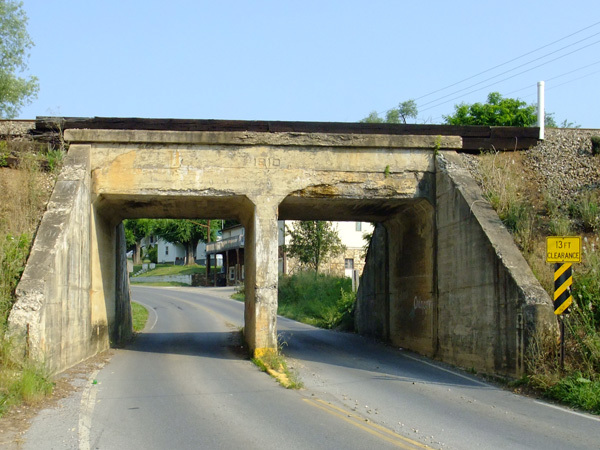 This sturdy underpass is dated 1930 and is about 75′ long. 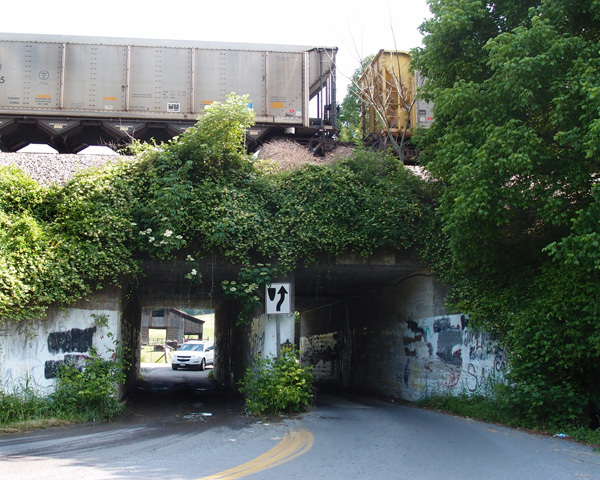 Since undocumented (by me) railroad tunnels are rather thin on the ground right now, I’m going to soldier on by posting some rail overpass (auto underpass) features I’ve run across. 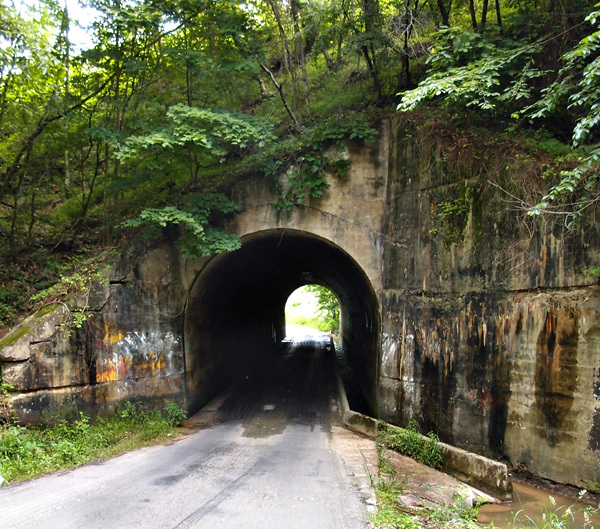 This is on Cowan Gap Road in Southwest Virginia (36.61900, -82.68865). It’s dated 1907, so it’s probably original to the line (CSX). 125′ long (it is aslant the fill).